Who Says Dermal Fillers Are Just For Women? Although there are procedures in plastic surgery that are specifically designed for women such as breast enhancement surgeries, it’s entirely a different story when it comes to facial rejuvenation procedures — from facelifts to rhinoplasty to dermal fillers. Here at our Danville cosmetic surgery practice, dermal fillers are rapidly becoming one of the top choices for patients who wish to erase years off their face minus the longer recovery periods and costs of surgical cosmetic procedures. Just the other day, a man in his late 30s wanted to learn more about ways on how to improve the appearance of his sunken cheeks. We suggested right away that dermal fillers may be more appropriate for him. “But aren’t facial fillers for women?”, he asked. Looking feminine is one of the common initial concerns of men when we suggest dermal fillers for their cosmetic concerns. 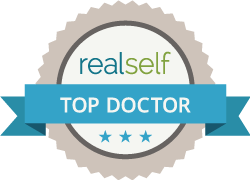 However, this is actually far from happening as Dr. Lavey and the rest of the team are actually adept in injecting fillers in men to make them look more refreshed and masculine. You want to improve the appearance of your nose but is still unsure yet about having rhinoplasty. Fillers can be injected on your nose’s midlines and/or its sides to help improve profile or reduce the appearance of a bump. You want to have a more well-defined jawline. Fillers have been proven helpful in enhancing the appearance of bone structure for a more chiseled jaw. You want fuller lips. We understand that you do not want to look like Angelina Jolie but if you have lips that are close to non-existent, fillers can help improve or restore fullness. You just want to look younger! Specifically, fillers do an excellent job in removing the appearance of fine lines and fat pads near the eyes. An initial consultation with Dr. Lavey will help you choose the right dermal filler that is suitable for your concerns and preferences. Call 925.820.3633 or fill out this contact form to set up an appointment. We look forward to your visit! Can Plastic Surgery Make People Happier? Science Says Yes!